Earth's End: The Dharma Punks Launch Photorama! 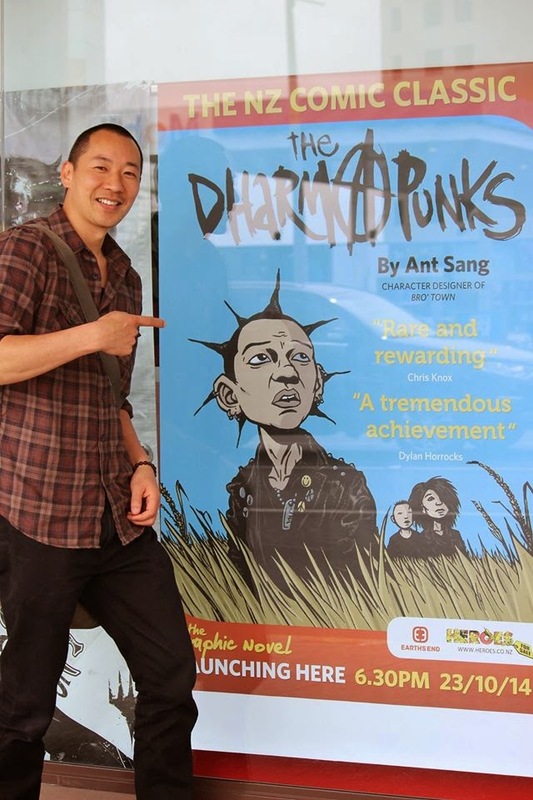 Above: Ant Sang outside of Heroes For Sale prior to the book launch. 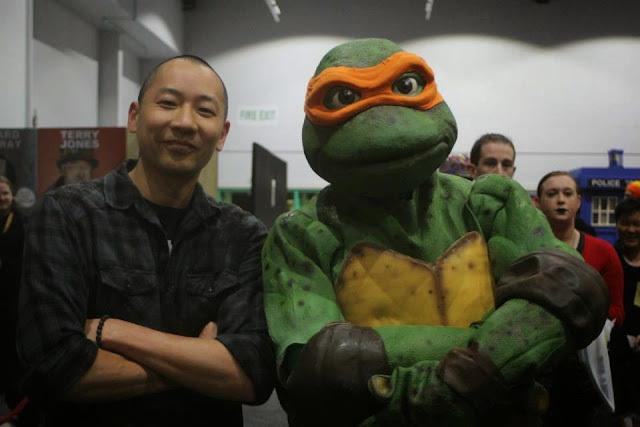 Here's a brief photo gallery of the launch party for The Dharma Punks and our appearance at Auckland Armageddon Expo 2014! 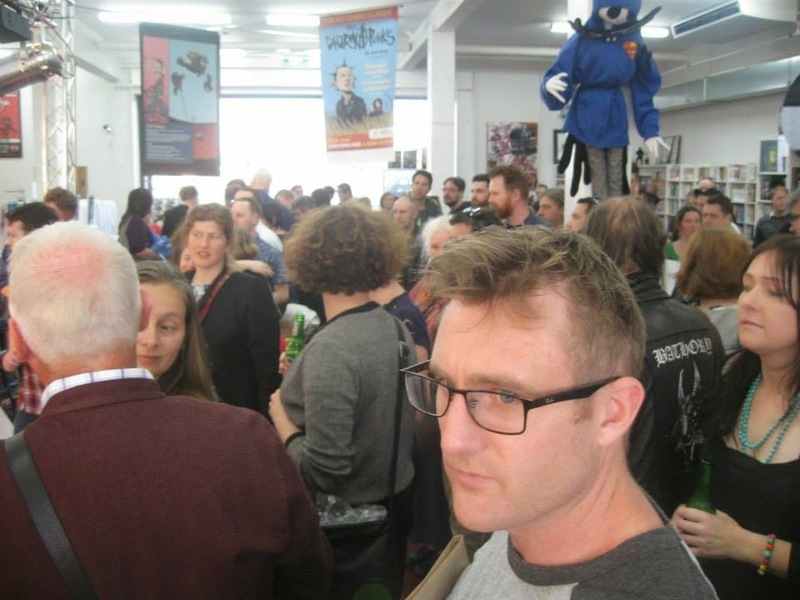 Above: Standing room only at the book launch at Heroes For Sale, K'rd. Above: Ant getting down to business sketching and signing! 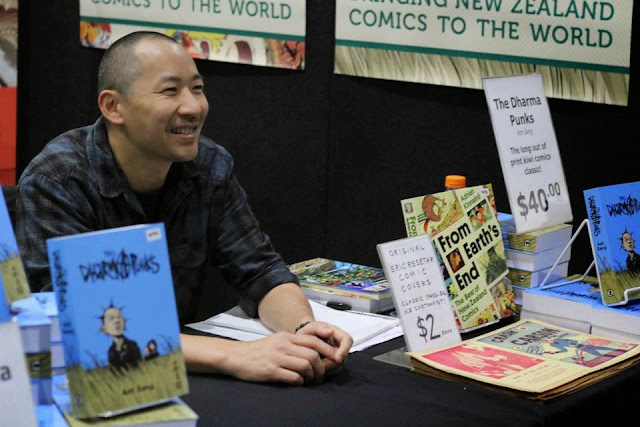 Above: Ant at the Earth's End Publishing booth at Auckland Armageddon 2014. 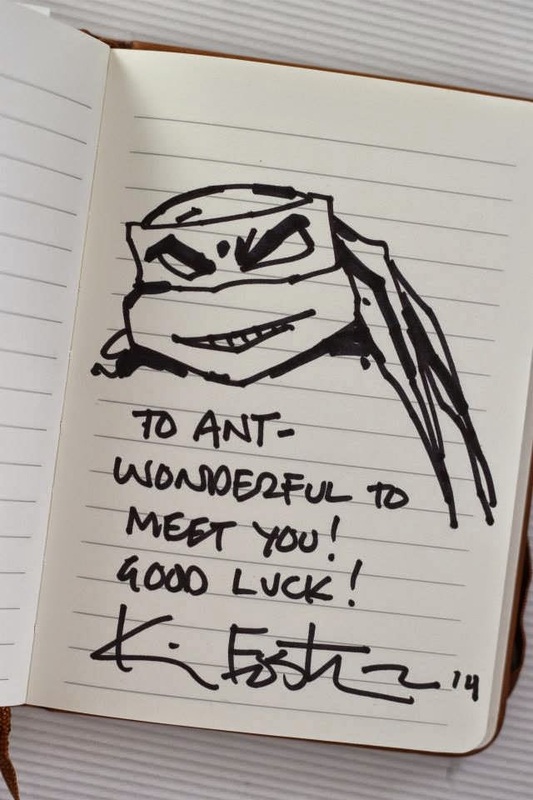 Above: Ant posing with a Ninja Turtles fan (TMNT co-creator Kevin Eastman was a special guest at the Expo). Above: Oh, and speaking of Kevin Eastman, he did this brief sketch for Ant's notebook! 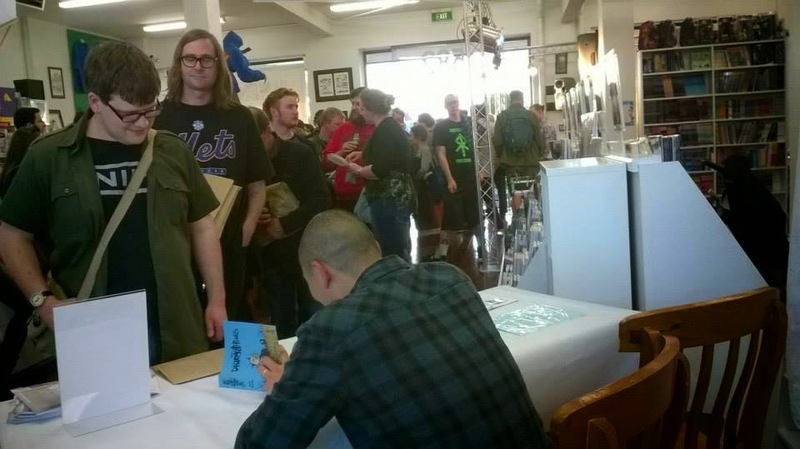 And a big thank you to all the fans who came out to support us at the book launch and Armageddon Expo, much appreciated!